Keeping our sport “ACCESSIBLE FOR All” is of the utmost importance with the Warriors. Not every family can afford to register their child in a competitive sport. We do our best to keep our fees as low as possible but we can’t do that without the support of our community. This is our reach out to you to become a valued ….. 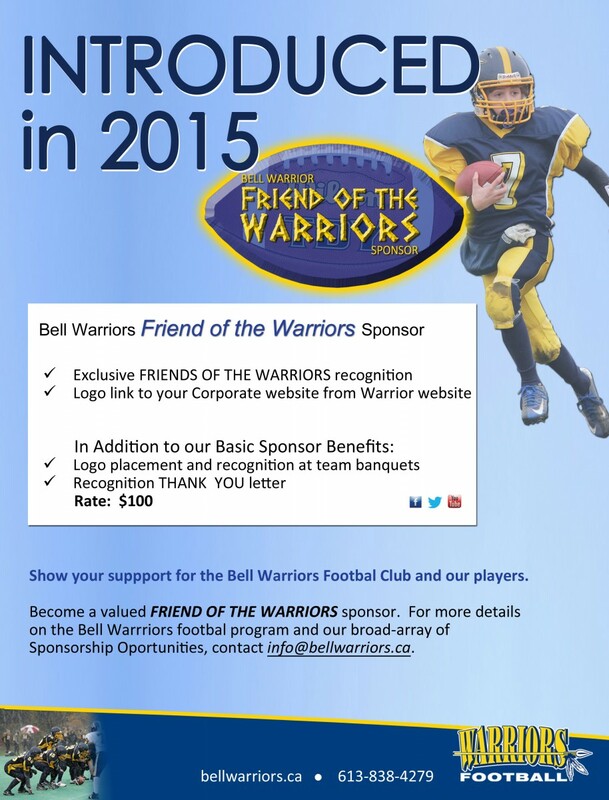 FRIEND OF THE WARRIORS SPONSOR!